WASHINGTON, D.C. – When the Affordable Care Act passed into law back in 2010 it brought some relief to young adults who faced paying healthcare on their own, people with illnesses who feared they’d be dropped from their providers and an entire group of the population that couldn’t afford healthcare at the going market rate. But one particular set received some very obvious savings thanks to the ACA — women on birth control. A new study published in Health Affairs journal found that there were significant positive financial impacts of the new provision that mandated healthcare providers to cover the costs of birth control for women. 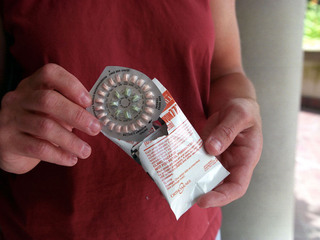 The rule meant that for many females, the $10 or $20 expense a month for contraception went away essentially over-night. The July study was the first estimation of savings and found that the average out-of-pocket expenses related to contraception have decreased for almost all reversible contraceptive methods on the market, which includes the Nuva ring, intrauterine devices and your average hormone releasing pill. Average percentages of out-of-pocket spending for both oral contraceptive pill prescriptions and intrauterine devices dropped by 20 percent after the ACA mandate. Ultimately, the savings amounted to about $250 a year for every woman covered, the study found.